I recently watched the eight-episode Netflix series Flaked. One particular episode features a scene where Chip, played by Will Arnett, sings along to Buddy Stuart's Sun Shine On Me. I woke up today with that song in my head and have probably played it twenty times throughout the day. The kids have loved being outside now that the weather has started to warm up a bit. In many ways, they're totally different kids than they were living in our previous house. Back at the other place, we had a yard with no trees and therefore no shade. They hated playing outside as there was never any relief from the summer sun. Now, with plenty of shade everywhere they look, apparently all we've got to do is pitch a tent and they're set for a day outside. We can't seem to keep their fingernails clean anymore and, as far as I'm concerned, that's a good problem to have. Yesterday, my old friend Mike mentioned on the Facebook that he'd been looking back through his old trading cards...and that got me eager to do the same. The A-Team cards I picked up a few years ago at a flea market and this is a set of cards so lazilly produced that it's just funny. For example, here are cards 5-8. 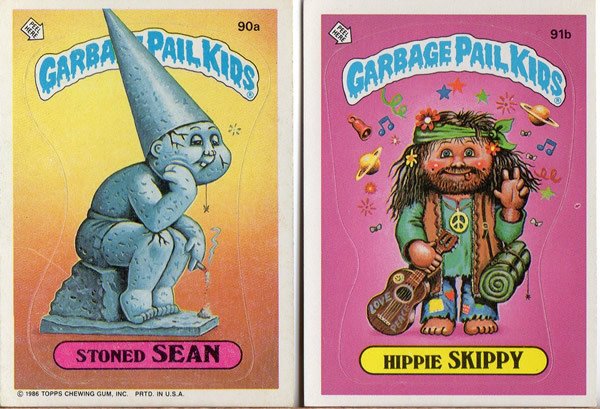 All pretty much the same card, just with a slightly different pose and phrase from Mr. T from one card to the next. Okay. Full disclosure. I'd absolutely buy an entire set of 50+ cards just like this -- all Mr. T standing against a green wall doing something a tiny bit different from one picture to the next. Then there's this. Anyone else see a missed opportunity here? After the kids were in bed, I stepped outside to see if I could spot Mars in the sky as I'd read early today might be a possibility. I'm guessing it was too early as I didn't see anything. I probably could have gone back out later and seen it, but I watched the end of the Cubs game instead. All this talk of Mars, of course, kept bringing to mind the most important Mars in the galaxy ... Mars Blackmon. 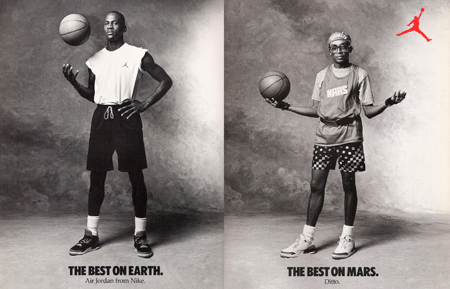 Mars was the fast-talking character played by Spike Lee who showed up in his 1986 film She's Gotta Have It as well as a handful of subsequent Nike commercials with Michael Jordan. 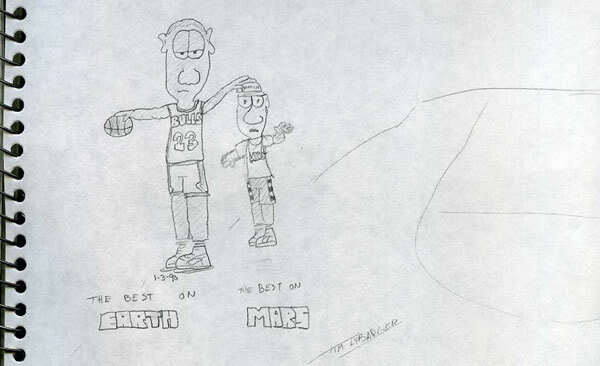 Doing what my mind tends to do best, I remembered drawing pictures of Mars in junior high and it didn't take me long to find an old sketch book as evidence. This one's dated 1-3-90 and is even signed by the "artist." Man, check out those Garfield eyes. Everything I drew when I was a kid had Garfield eyes. Day 07: Make Way for the S-O-T!